Cholesterol is a steroid required for the manufacture of hormones and bile (for the digestion and absorption of fats); it is one of the structural com­ponents of neural tissue; and it is required for the construction of cell walls. Although a certain amount of cholesterol is needed for good health, an excessive amount in the blood— serum cholesterol—is associated with heart attacks and strokes. Strokes, or “brain attacks,” are a result of blood clots blocking the flow of blood to portions of the brain or a hemorrhage in the brain resulting from a blood vessel that has burst. Common consequences of a stroke are paralysis of one side of the body and slurred speech. If a stroke is massive, the victim dies. 2. Internal, by the body manufacturing its own. New recommendations for detecting and lowering blood cholesterol were released by the National Heart, Lung, and Blood Institute (NHLBI) in May 2001. The NHLBI also urged physicians to pay closer at­tention to a cluster of factors that substantially contribute to the devel­opment of heart disease. These factors, collectively referred to the metabolic syndrome, include excessive abdom­inal fat, high blood pressure, high blood sugar, elevated triglycerides, and low HDL cholesterol. The new guidelines also state that the maximum daily consumption of cholesterol should be reduced from less than 300 mg/day to less than 200 mg/day; saturated fat intake should be lowered from less than 8 percent of the total calories to less than 7 percent; and total fat intake may be increased from 30 percent to 35 per­cent of the total daily calories, provided that the majority of these come from monounsaturated and polyunsaturated sources. The guidelines stress the importance of maintaining a normal body weight and consistent participa­tion in physical exercise. Saturated fat is the primary ingre­dient from which cholesterol is pro­duced inside the body. As a result, most authorities are more concerned about the amount of saturated fat than cholesterol we consume—but they are quick to add that it is prudent to limit the intake of both. Dietary cholesterol and saturated fat are found in animal flesh, eggs, whole milk, and whole-milk dairy products. Fruits and vegetables are free of cholesterol, and—with a few exceptions—also are low in fat. Coco­nuts, coconut oil, palm oil, and palm kernel oil are high in saturated fat. Olives, nuts and seeds, and avocados are high in monounsaturated fat, which is a less harmful form. 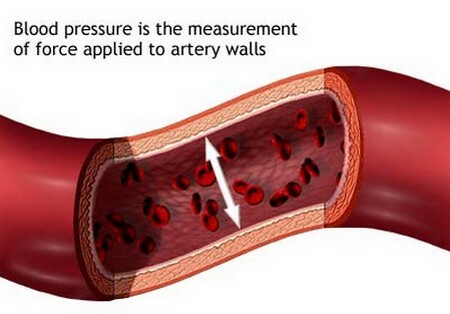 The amount of cholesterol circu­lating in the blood is expressed in milligrams per deciliter (mg/dL). Maintaining a desirable value of serum cholesterol reduces the risk. For every 1 percent that serum cholesterol is lowered, the risk of heart disease is reduced by 2 percent to 3 percent.